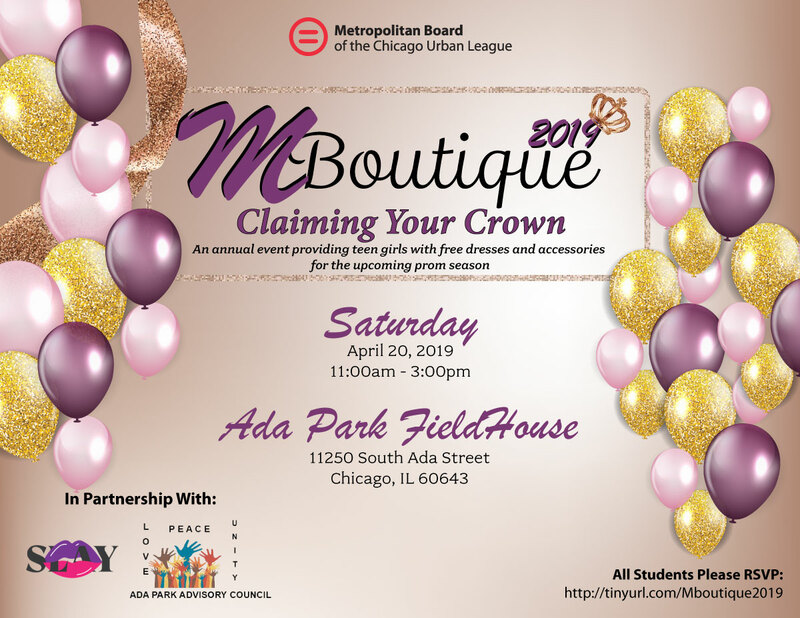 Created in 2007, MBoutique is a personalized prom assistance experience for low-income students in the Chicagloand area. Students are provided with dresses, accessories, makeup and hair care products and entered into a raffle for gift cards and prom-related services. Be prepared for an awesome experience. You will be our very special guest! Come prepared to find items that will help make your prom the night of your dreams. When you arrive, you will be greeted by a personal shopper who will help you select a dress and accessories from our prom collection. Can’t wait to see you at MBoutique! If you have any new or slightly used evening gowns, dress shoes and/or accessories please consider donating to this great cause! 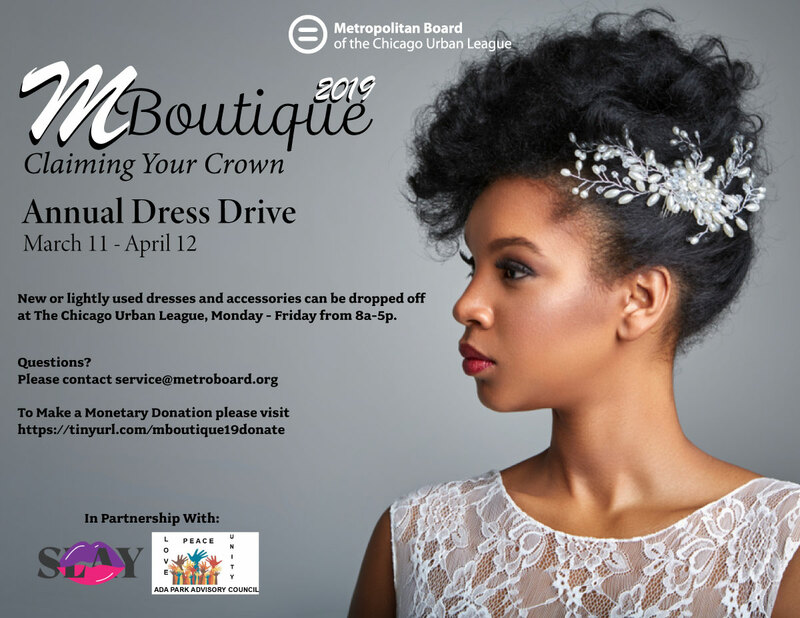 All donations will go towards the MBoutique 2019: Claim Your Crown event. Help make a prom dream come true!